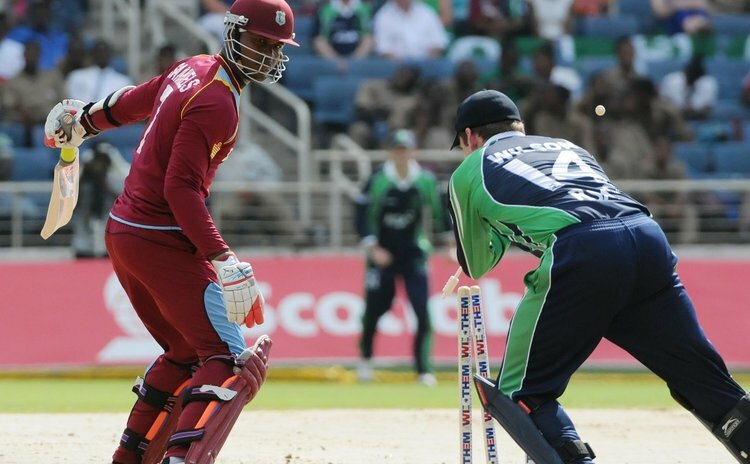 KINGSTON, Jamaica – West Indies started the 2014 International Home Series on a losing note when they went under to Ireland in the first T20 International on Wednesday afternoon. It was a huge upset by the Irish who recorded their first ever victory over the reigning World Champions in this format. West Indies skipper Darren Sammy made no excuses for the six-wicket defeat, admitting "we were outplayed today". "Ireland played well and deserved their victory. We were a bit rusty and they came hard at us and in the end were the better team on the day. We can't make any excuses, we just have to get it right," Sammy said after the match, the first ever T20 International at Sabina Park. "We never took them for granted. We weren't complacent. They bowled well against us and we just didn't handle it as we should have. Then when we bowled, we did a good job of trying to defend a small target, but they had one good partnership of over 50 runs and that won the match for them." Windies won the toss and batted but could only muster 116-8 from their 20 overs. Ireland replied with 117-4 to win with five balls to spare. The innings was built around a solid 40 not out off 49 balls from Ed Joyce. The experienced left-hander, who took home the Man of the Match award, added 58 for the fourth wicket with Andrew Poynter, who contributed 32 off 30 balls. The two teams will play the second and final T20 International on Friday at the same venue. Sammy added: "We have to come back hard at them on Friday and put in a performance that shows we are worthy of being the world champions. We will have a full training session tomorrow (Thursday) and look to get everything right on Friday."